Latino Conservation Week :: A Hispanic Access Foundation Initiative - Make a Splash at the Verde River! 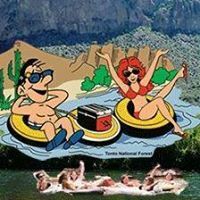 /Make a Splash at the Verde River! Hang out with a group of young Latinxs at the Salt River as we enjoy our beautiful river and stay cool for the Verde Spooktacular Monster Halloween Event! COORDINATE COSTUMES WITH US. Todos son bienvenidos! Meeting at the shuttle stop headquarters at 9:00 AM. Call or text Melissa to coordinate beforehand and Ana on the day of the event!